Did you know that most conventional home ovens can have a temperature disparity of up to 15℃! Meaning that you can expect your own home oven to be very different temperatures in different parts of the oven cavity. Hotpoint however, promise that their ovens have a temperature disparity of a mere 2℃, which means a much more even and consistent bake. This is pretty vital for successful baking - no soggy bottoms or burnt crusts with Hotpoint, hurrah! So, we headed to JO Cookery School to take part in their bread course - and using the Hotpoint ovens we put their temperature promise to test - would we get lovely even bakes? This was my first ever visit to the Jamie Oliver Cookery School & boy was I excited - as a huge JO fan, I've been desperate to see this brand new school in all its glory (it opened in May this year) and hadn't got round to booking up yet, so I was chuffed when this invite winged its way to me. I have to say that it really didn't disappoint. The school is absolutely stunning, with every single aspect having been beautifully designed, it's perfectly practical - and well, pretty pukka in the words of JO himself. We began the day with tea and biscuits (can you start a day in any other way??) and I got to have a good natter with my lovely friend Poppy Dinsey who was also at the event (a fab way to catch up!). After tackling the biscuit mountain, we headed into the kitchens, donned our JO aprons and met our chefs. 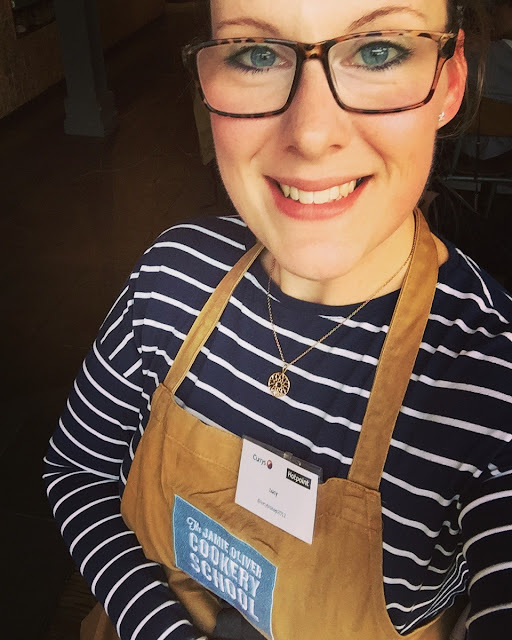 The lovely chefs were so energetic and passionate - really infectious, even those not as obsessed with baking as me got fully into the spirit. The beautiful kitchens made it super-easy to watch the chefs demos before we headed back to our own stations to go it alone. 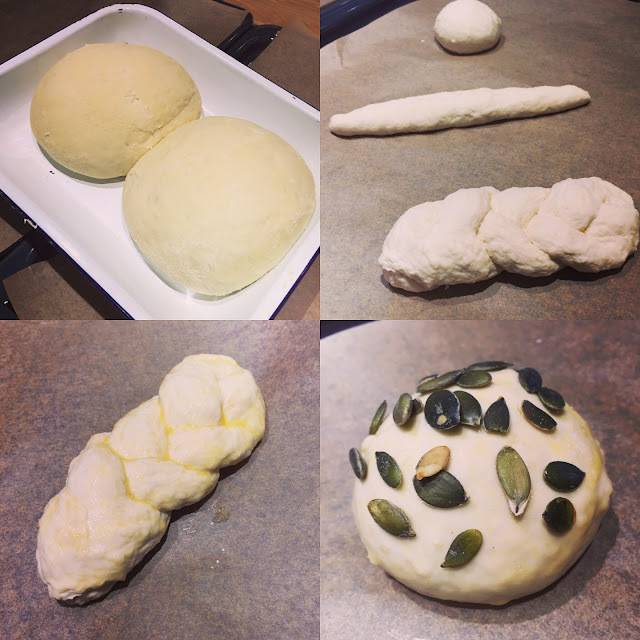 We started by making a simple white bread dough, and forming them into different shaped rolls - I made a round dinner roll, a plait and a mini baguette. We topped the rolls with egg wash and of course, pumpkin seeds! My rolls ready for baking! 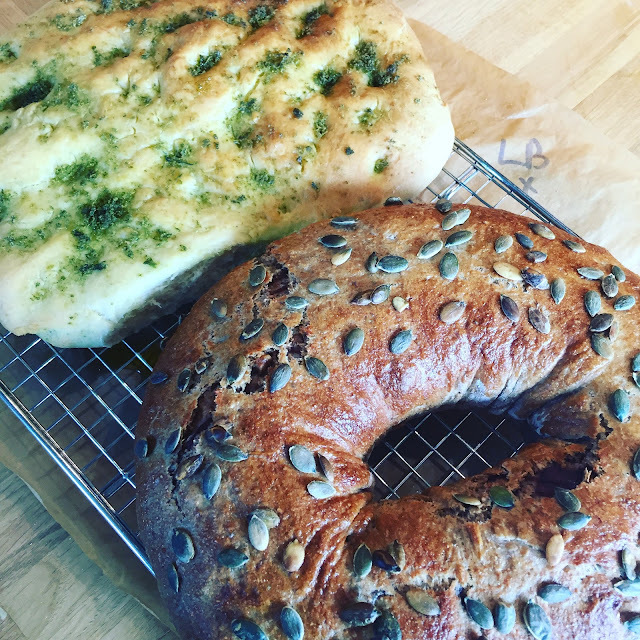 I really enjoy bread making, it is so therapeutic, especially kneading by hand (I must admit I normally use a dough hook in my KitchenAid - which just isn't the same!). I was really chuffed with the results - after a short time baking in the Hotpoint oven my rolls came out perfectly evenly golden, and smelling INSANE. It was so hard not to tuck in straight away! 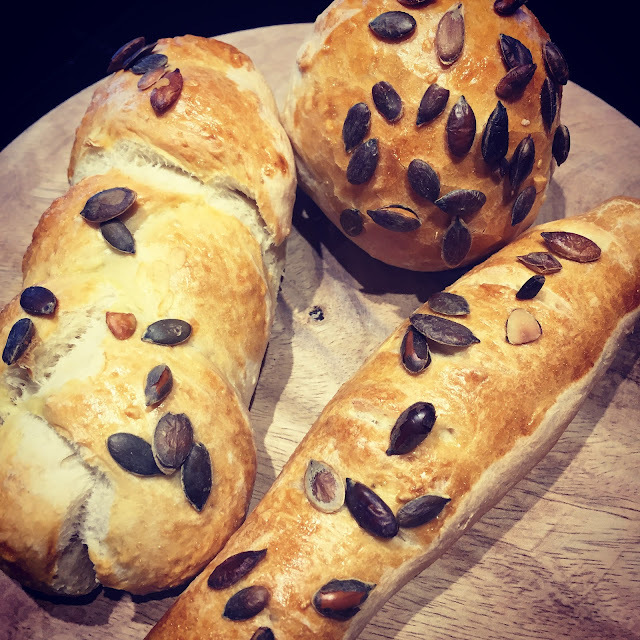 Freshly baked, evenly golden rolls, jewelled with pumpkin seeds. 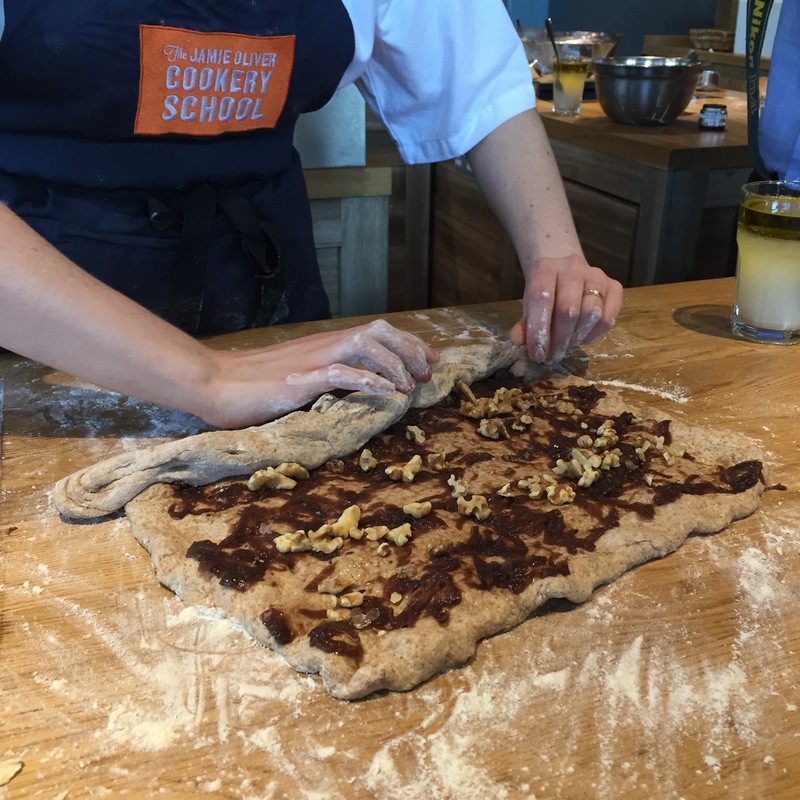 Our second bake was this time a wholegrain dough, which we used to create a stuffed picnic loaf, filled with caramelised onions and toasted walnuts - YUM! 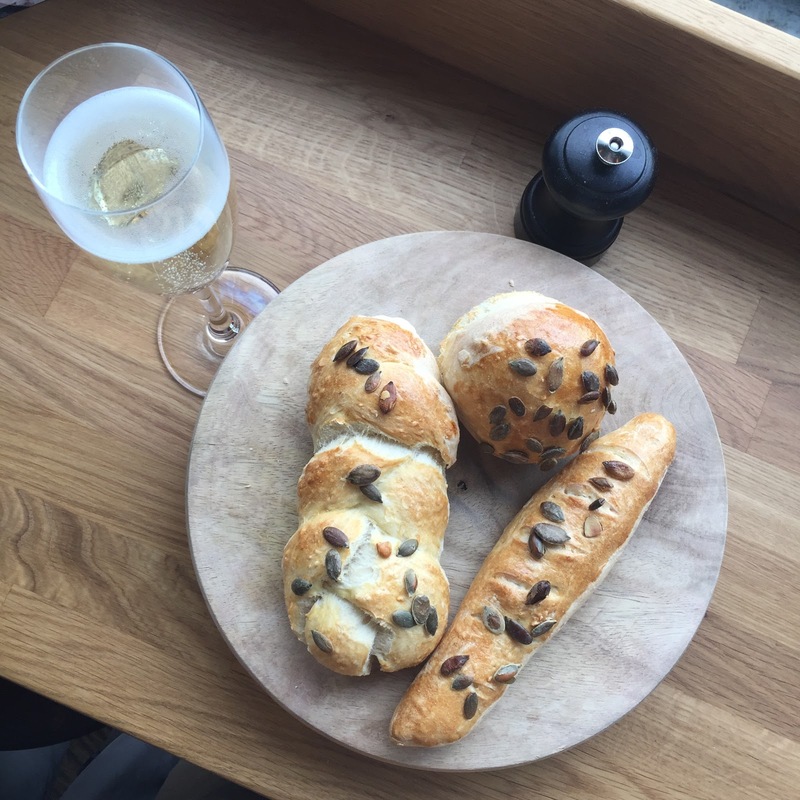 I'd never braved making a picnic loaf before, as it had always seemed fiddly and complicated, but the wonderful chefs made it seem pretty simple - I was thrilled to be giving it go! 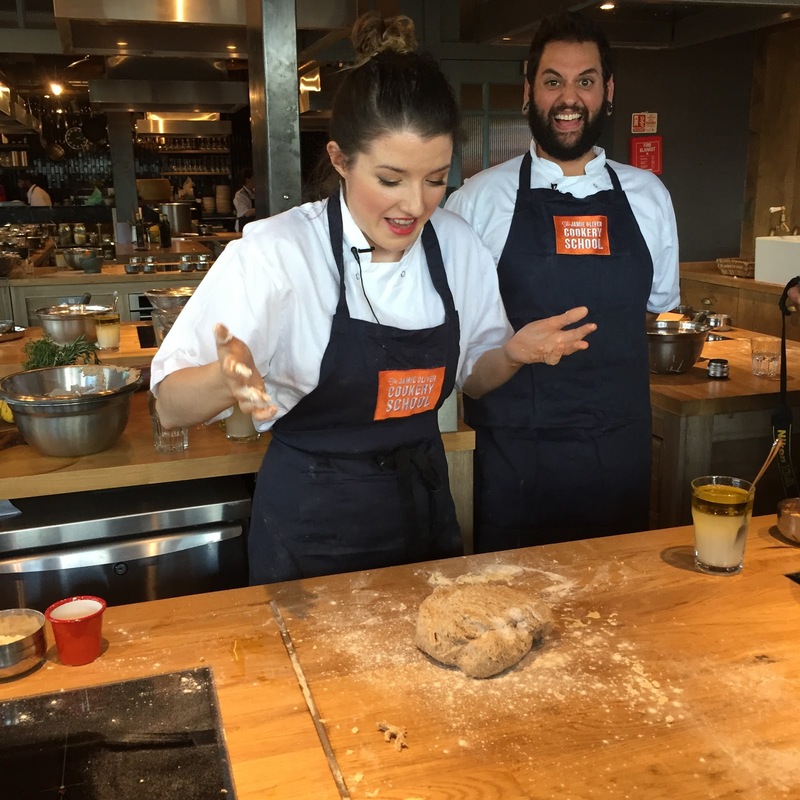 Chef making whole grain dough - look at their lovely faces - what a shot! After proving the dough to perfection, we had to knock it back, and shape it into a thin rectangle. That rectangle was then spread evenly with the caramelised onions and toasted walnuts, before being rolled up like a Swiss roll, and then bent round to make a large doughnut shape, feeding one end inside the other to seal the loaf. Ahhhhh Focaccia!! 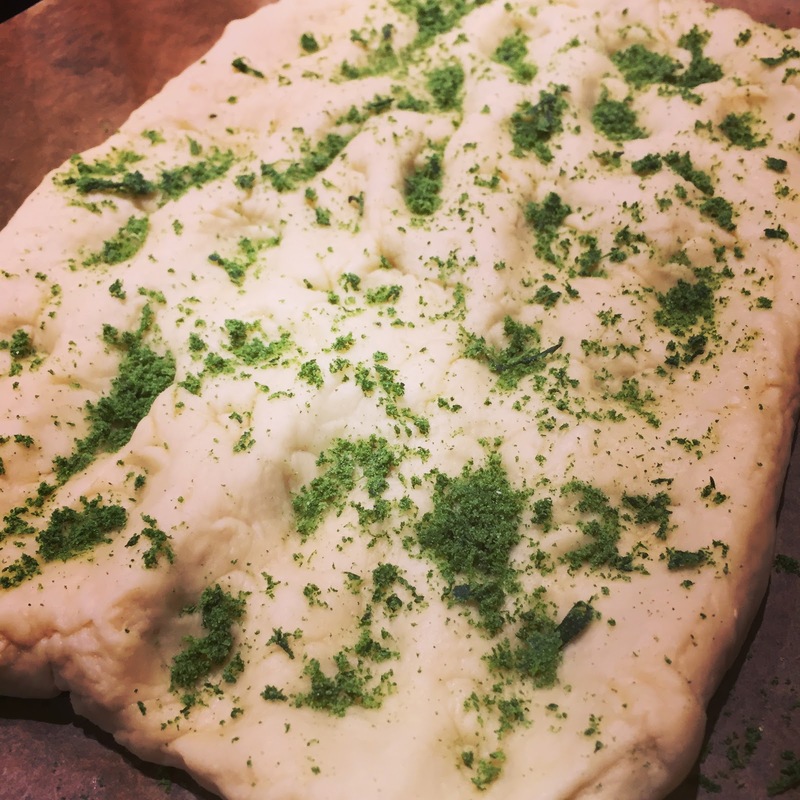 I have to say that focaccia is one of my all time favourite loaves - but I've never been brave enough to make it by myself, so I was thrilled when it was on the agenda for the day. 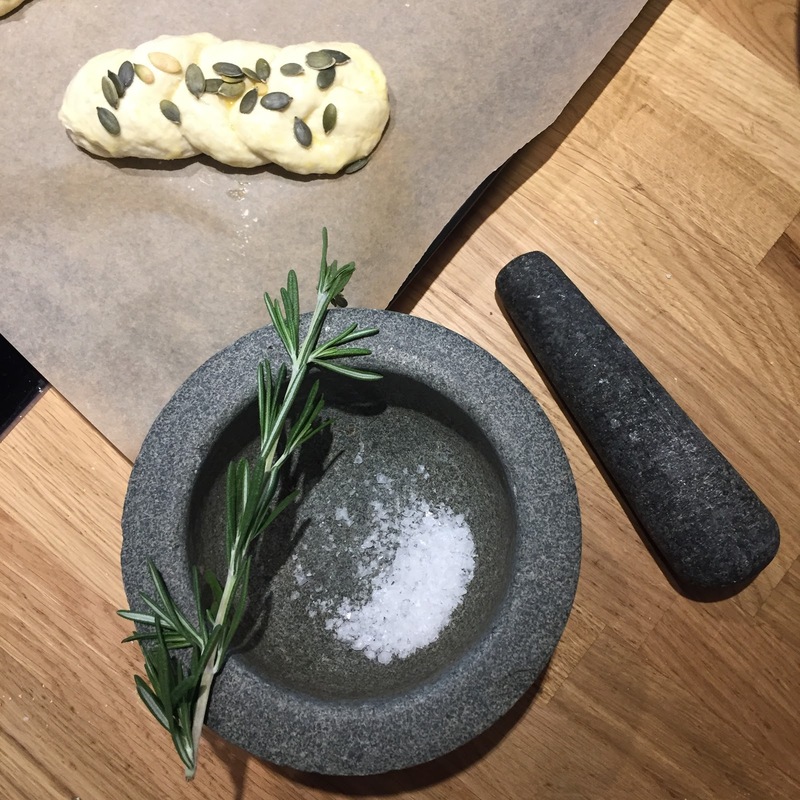 We started the process by making a dough using a combination of strong bread flour and 00 flour (a super-fine flour used for pasta making), while the dough proved we set about making a delicious rosemary salt by combining a sprig of fresh rosemary with some Maldon sea salt (the BEST!) using a mortar and pestle. Naturally, the breads baked perfectly - thanks Hotpoint! - the whole kitchen smelt incredible...is there anything better that the smell of rosemary cooking? treated to a rather magnificent lunch courtesy of the talented JO chefs. 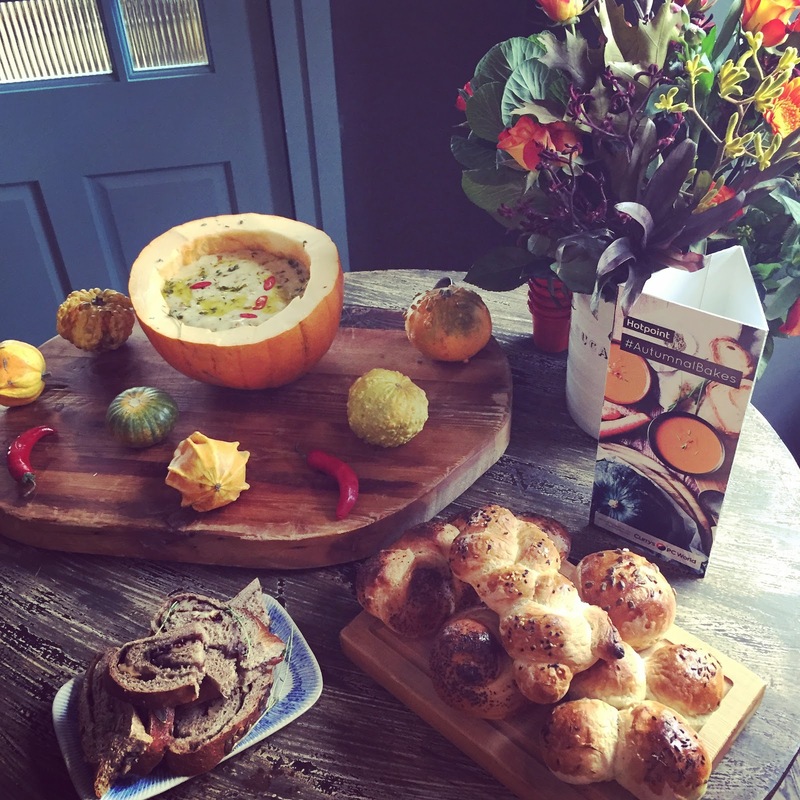 We all moved into the dining room area at the cookery school, where we were presented with the most magnificent display of freshly made pumpkin soup and our freshly baked white rolls - all served with a delicious pot of cheese fondue to dip our rolls in, and a glass of prosecco- don't mind if I do! 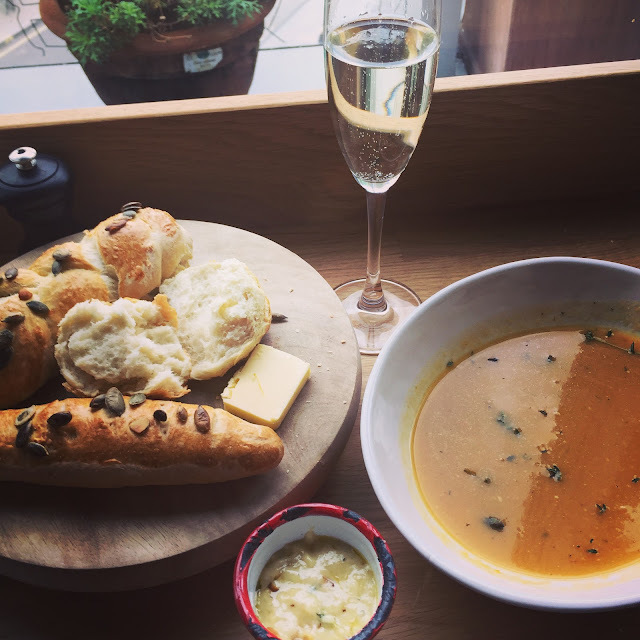 Freshly baked, still warm rolls, pumpkin soup, cheese fondue and prosecco - the lunch of my dreams! 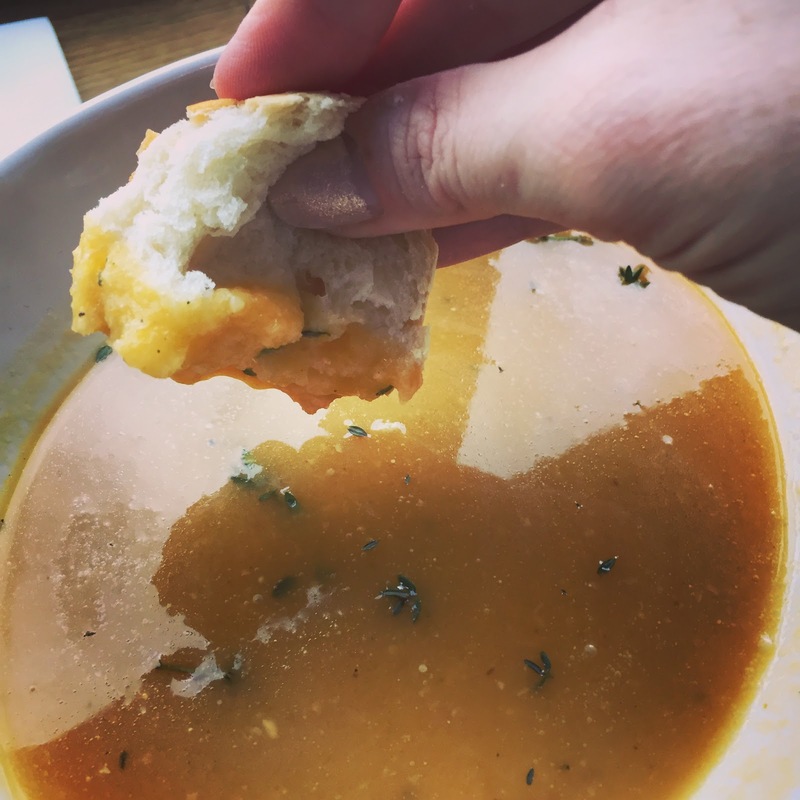 The food was unbelievably scrumptious (at this point I had VERY high hopes) the soup was so delicate, sweet and seasoned to perfection with lots of fragrant thyme - and well, the cheese fondue... there are just no words. YOU MUST MAKE THIS. MAKE IT NOW. 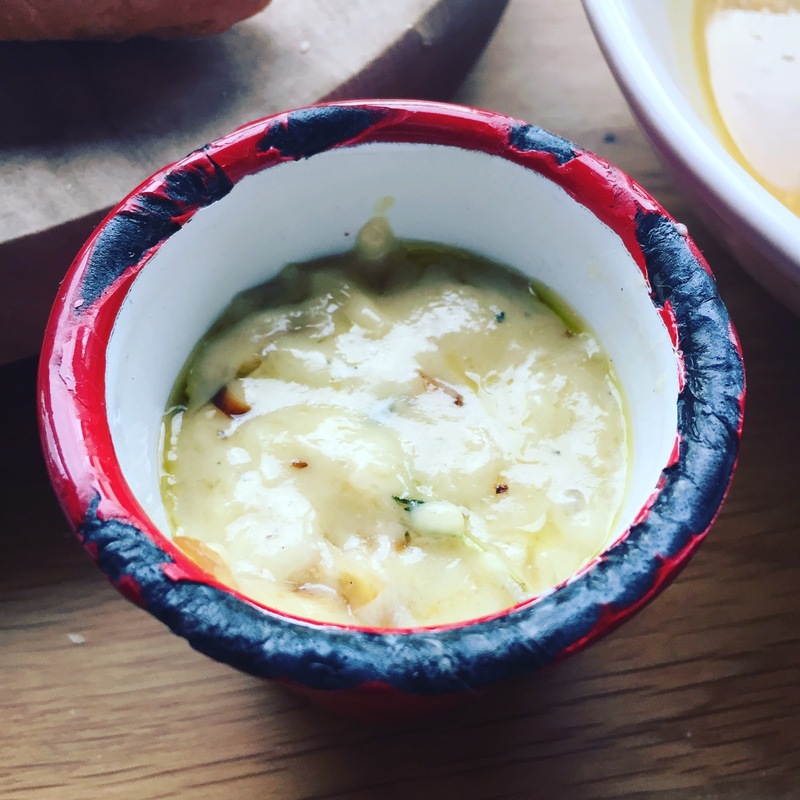 Here's both of the recipes - the soup is the perfect way to use up your pumpkins this Halloween, and the fondue will be one of the best things you'll ever taste. FACT. I was pretty darn chuffed with my bread baking efforts. Never mind that I got to eat a whole lunch while it was still hot, un-interrupted, with a glass of prosecco (even if it had been mediocre food it would have still been a joy #mumlife!) 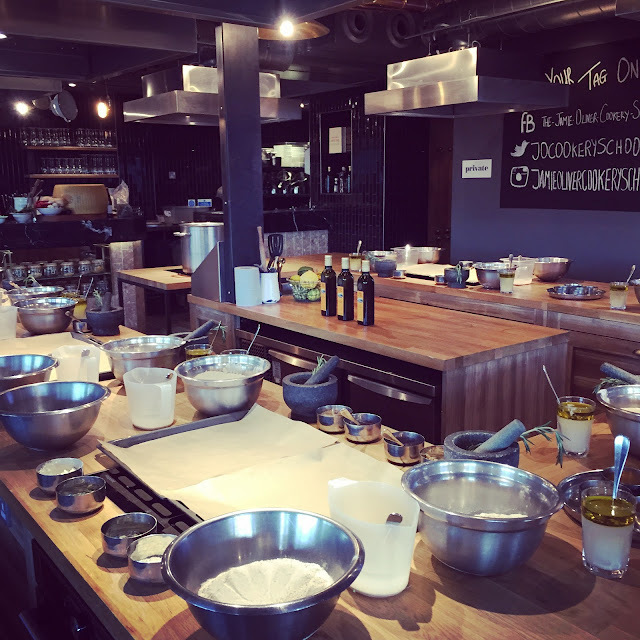 but it was a genuinely super-tasty lunch and I got to natter to lovely Poppy and chill in the beautiful surroundings that is the JO Cookery School - WIN WIN. There's always time for a cheeky selfie! 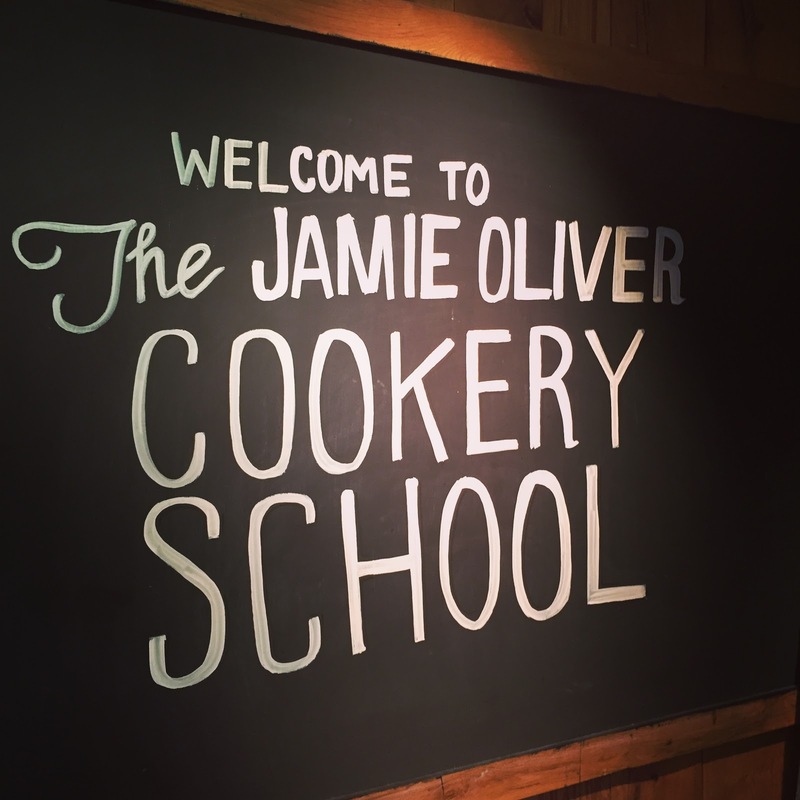 The #AutumnalBakes gang at The Jamie Oliver Cookery School. What a truly brilliant way to spend an afternoon! 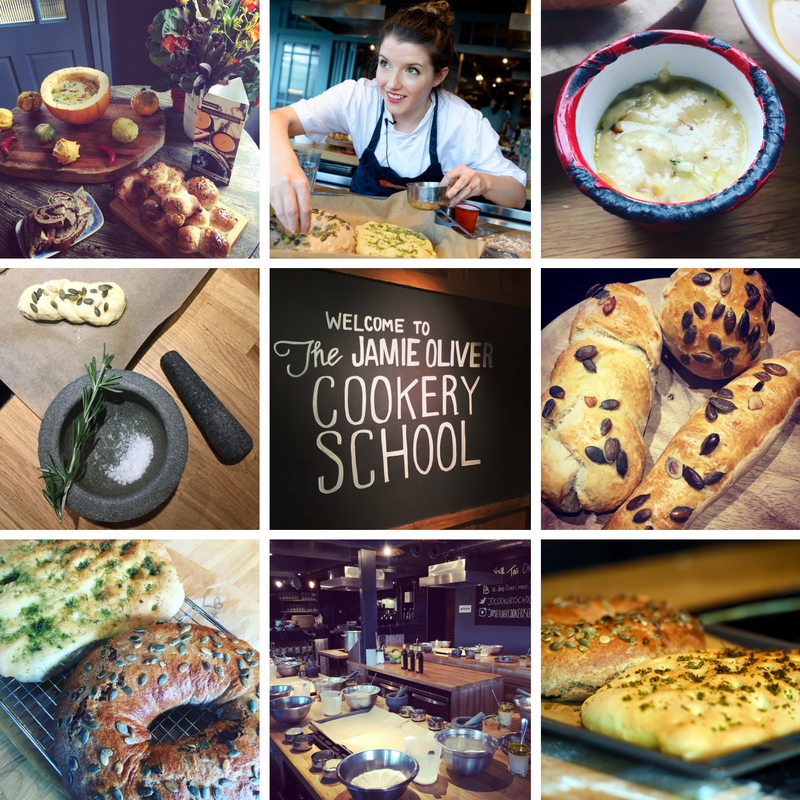 I loved it so much that I've added courses at the cookery school to my Christmas list - there's so many fabulous ones to choose from - I can't wait to go back and expand my skills further. And, as predicted the Hotpoint ovens didn't let us down - we ended the day filling paper bags with all the wonderful loaves we'd baked, taking them home to our families. Hubby was rather pleased with my offerings on my return - and in fact, the loaves fed his work colleagues the next day too! Spreading the joy and all that. 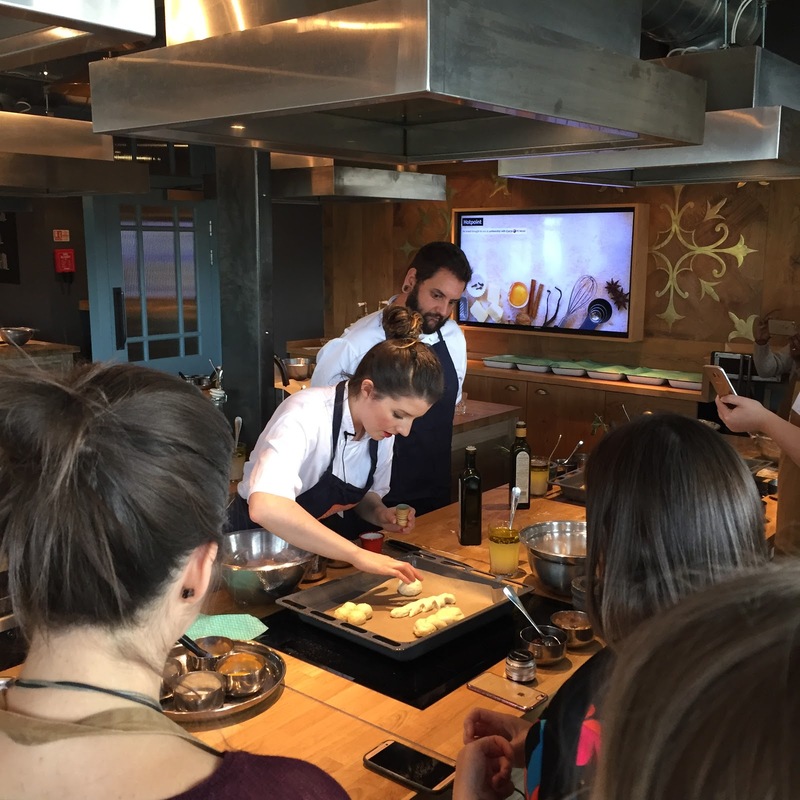 A huge thanks to Hotpoint and Currys PC World for inviting me to such a well-planned event, and thanks to all at the Jamie Oliver Cookery School for having us and making it such a super experience. 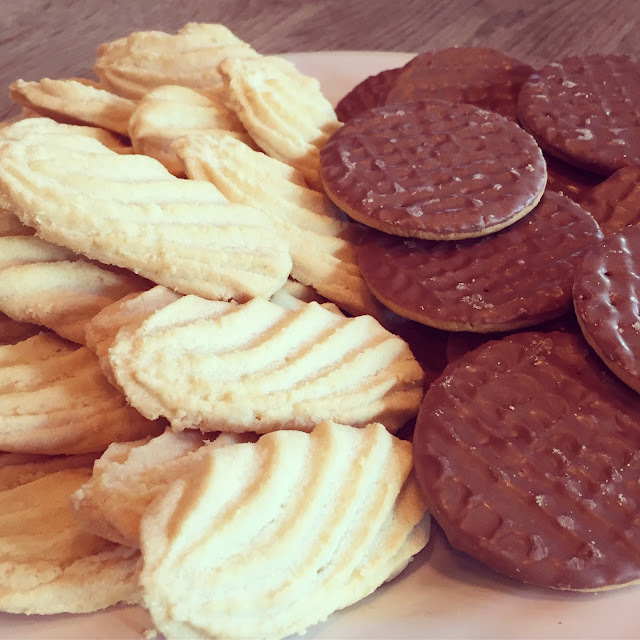 Are you making any #AutumnalBakes this weekend? 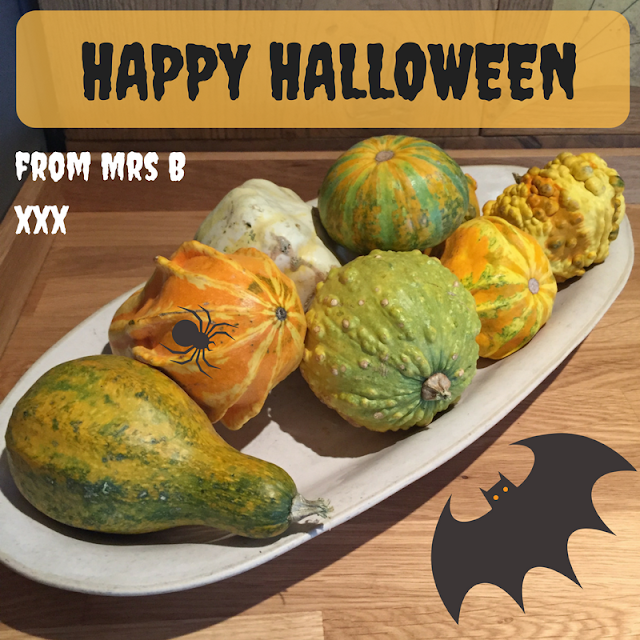 If you're celebrating Halloween have a fabulously spook-tacular time guys!